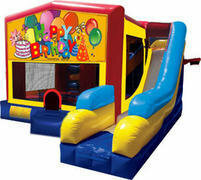 Get the maximum value and the most amount of fun with our exciting bounce and slide combo rentals. 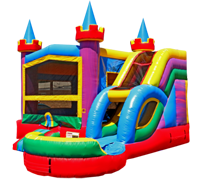 These awesome inflatables include the popular bounce area of a standard jumper, but also feature climb & slides, popup barries, and basketball hoops. 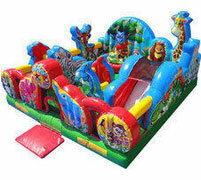 We also have the toddler playgrounds for your youngest guests.